Cakes are for COLLECTION ONLY unless delivery is agreed. 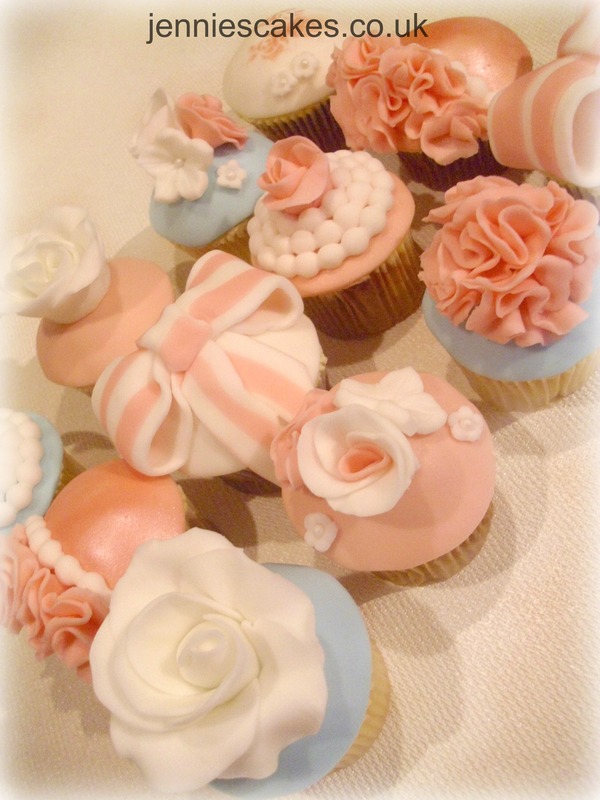 All cake are freshly baked with quality ingredients, please allow 3 days for goods to be ready. If a birthday message is required please advise when placing the order. All products contain gluten & dairy, please advise of any allergy's. 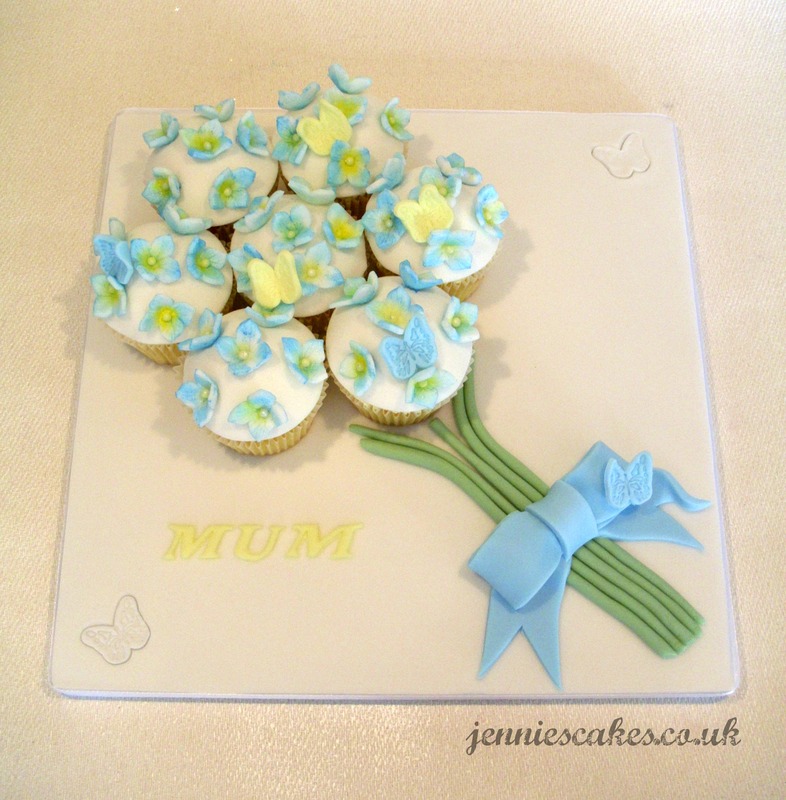 Say thank you with flowers as well as cake. 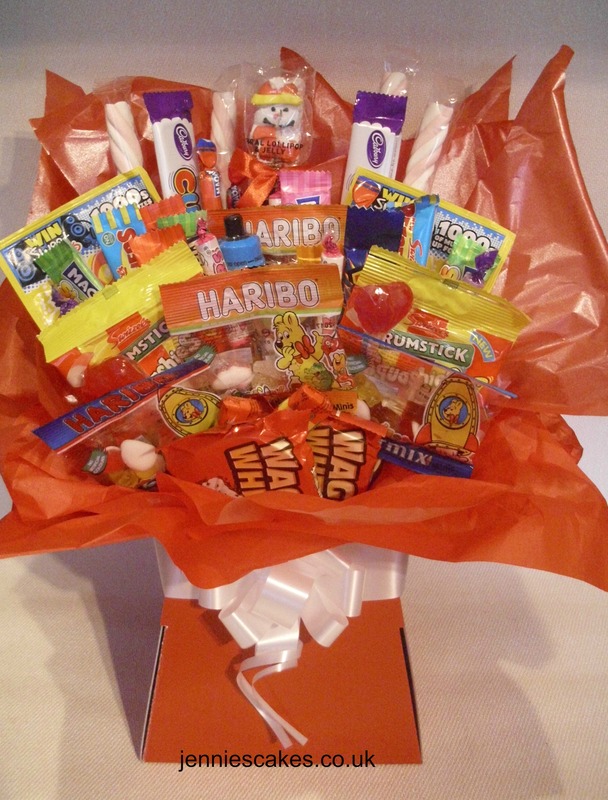 A sweet bouquet is a great present for someone with a sweet tooth. Comes with a variety of sweets with a good shelf life. 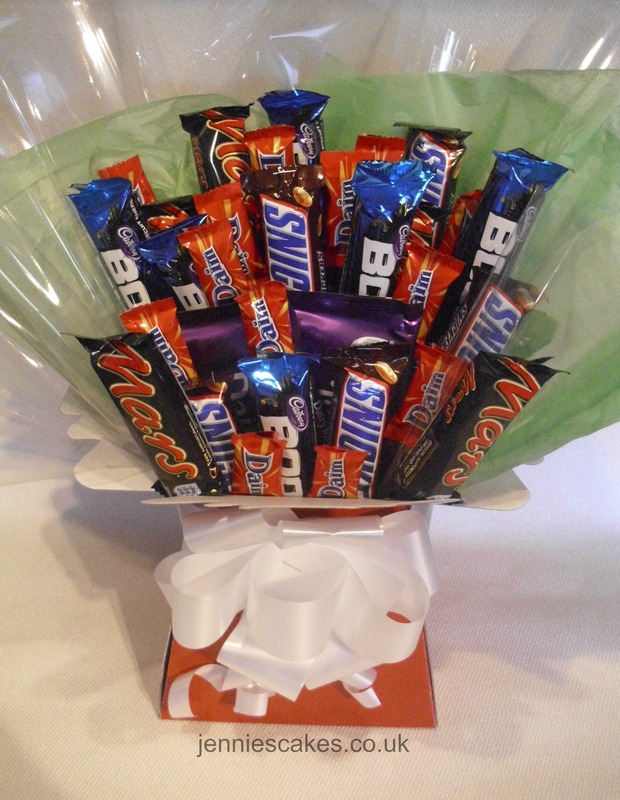 A chocolate bouquet is a great present for someone with a sweet tooth. Comes with a variety of chocolates with a good shelf life. 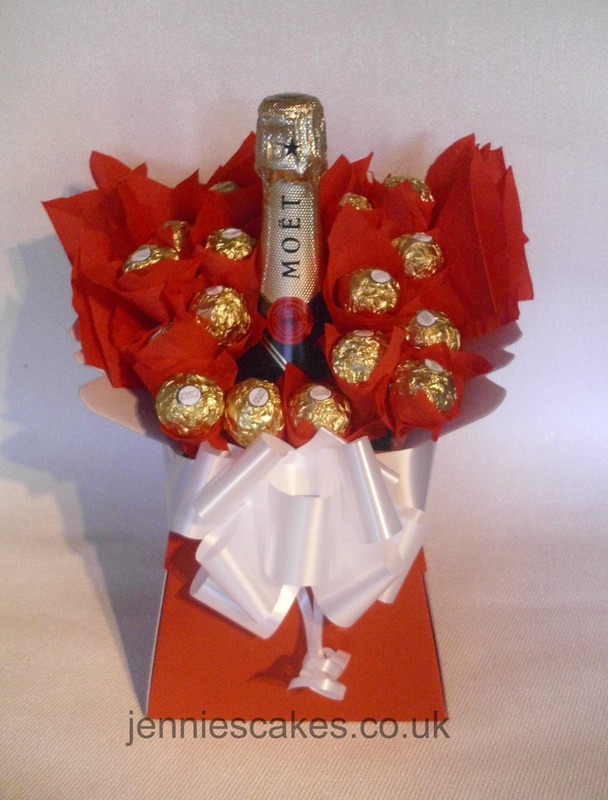 Champagne & Ferraro Rocher chocolates. 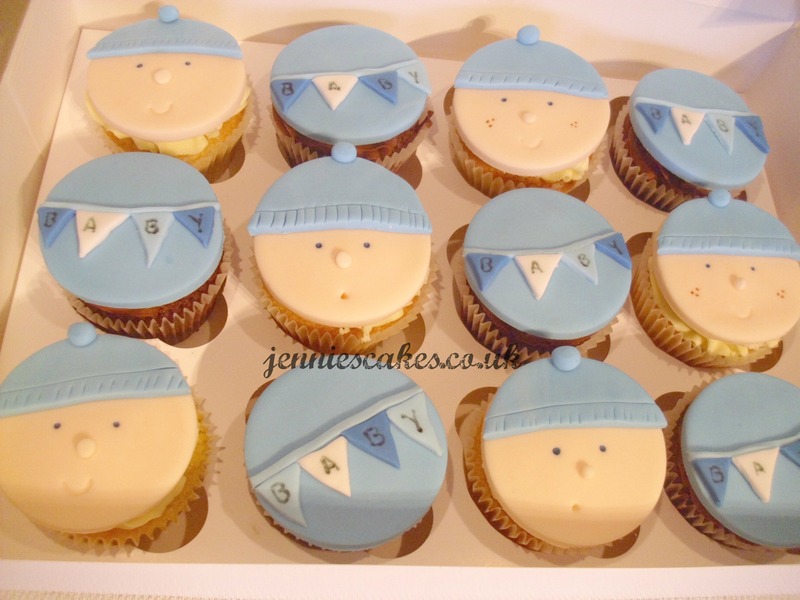 A selection box of 12 baby shower cupcakes. 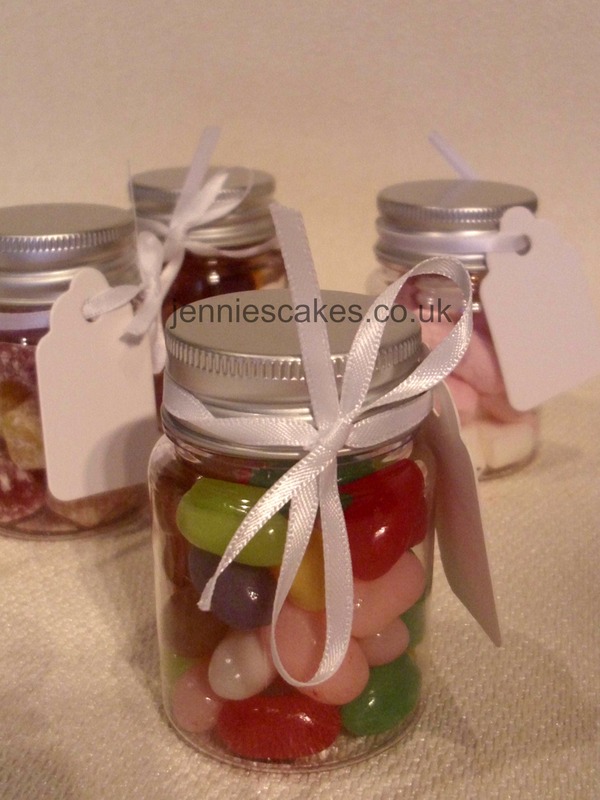 Sweet favour jars are great for birthdays and weddings. 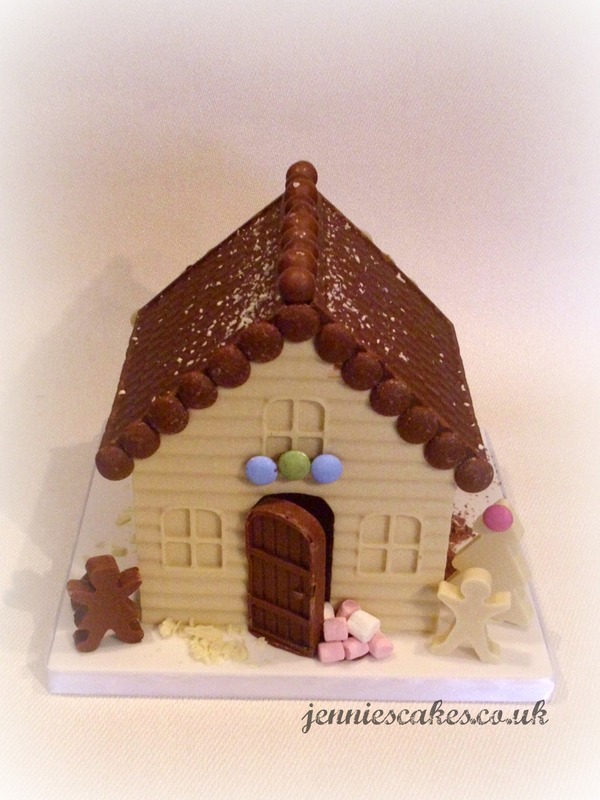 Can be personalised with a lable or tag. A 6" round edible topper cake can be done in a football logo or favourite character. A 8" round edible topper cake can be done in a football logo or favourite character. 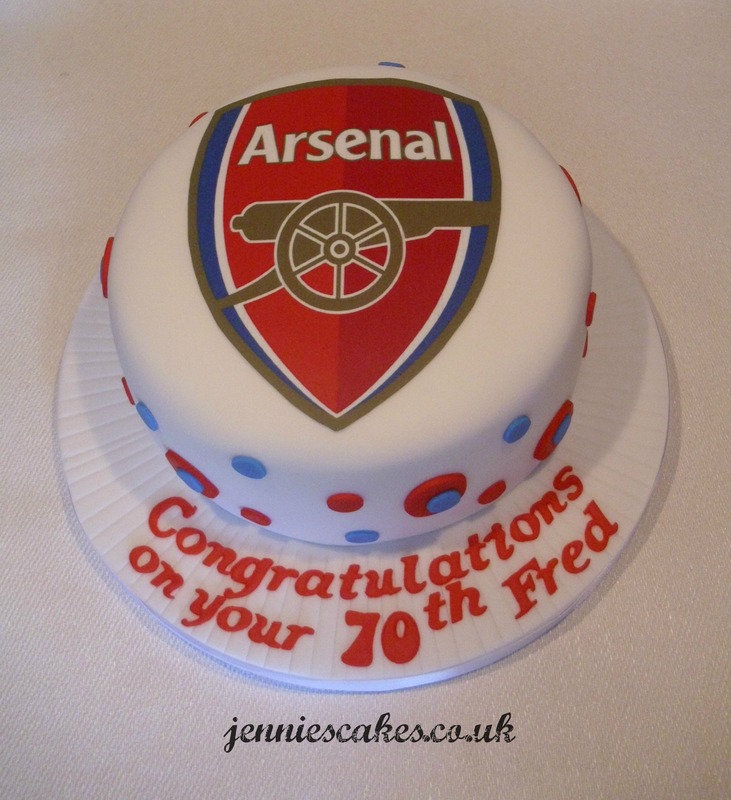 A 10" round edible topper cake can be done in a football logo or favourite character. 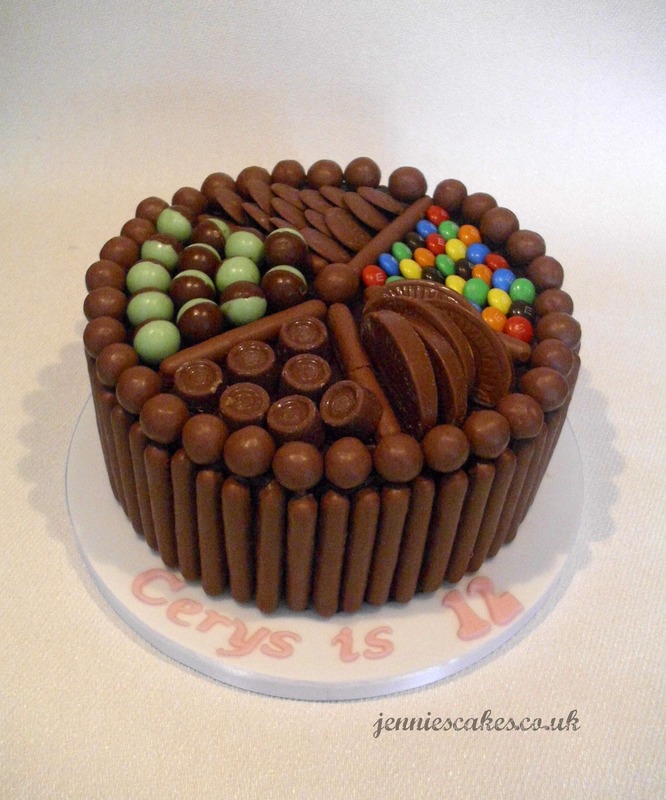 This cake is a chocoholics dream. 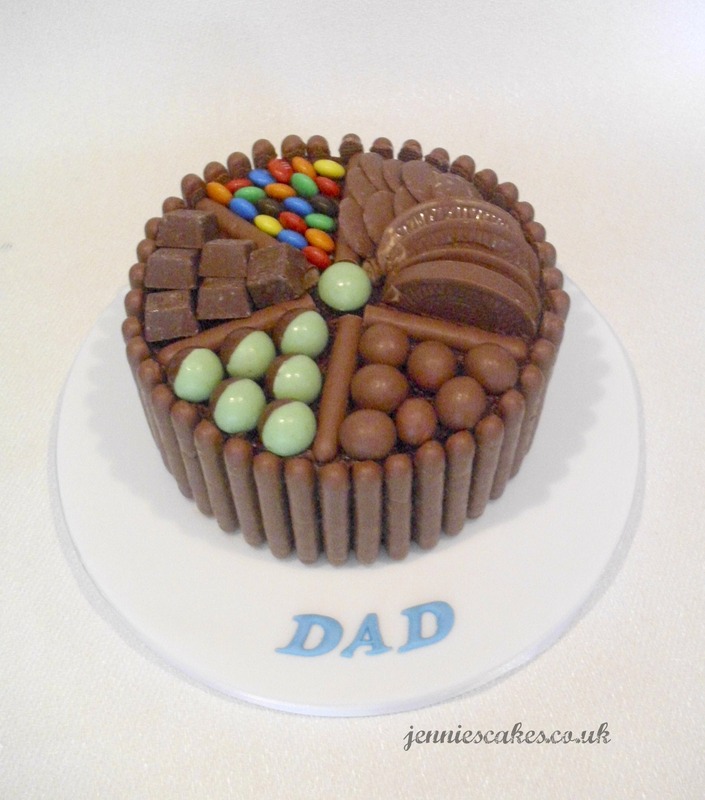 A chocolate fudge cake filled with chocolate ganache and coverd with an assortment of chocolate. Can come with a birthday message. 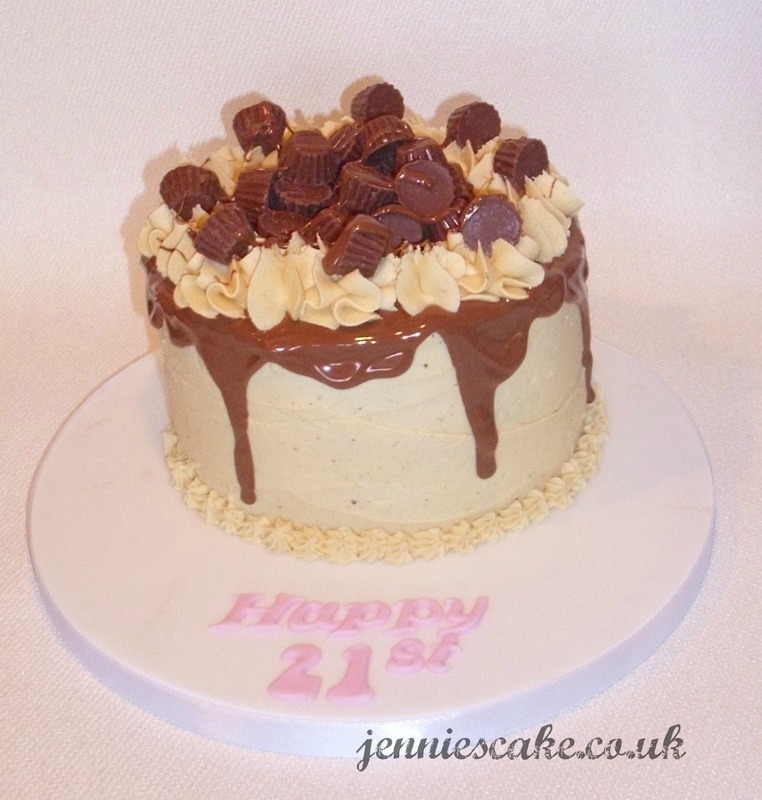 A chocolate orange cake with a kick. Cointreau soaked orange sponge, then filled with zingy marmalade and Cointreau ganache. A chococlate orange cake with a kick. A cherry brandy soaked chcolate & cherry sponge, filled with fresh cream, black cherry sauce and topped with fresh cream, chocolate shavings and fresh fruit. 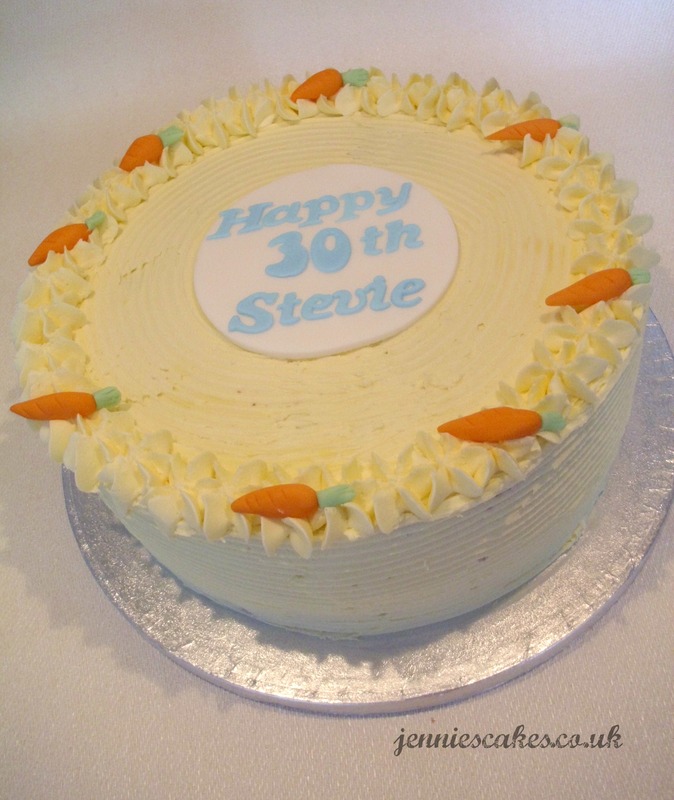 A moist carrot cake topped with orange butter cream and fondant carrots. 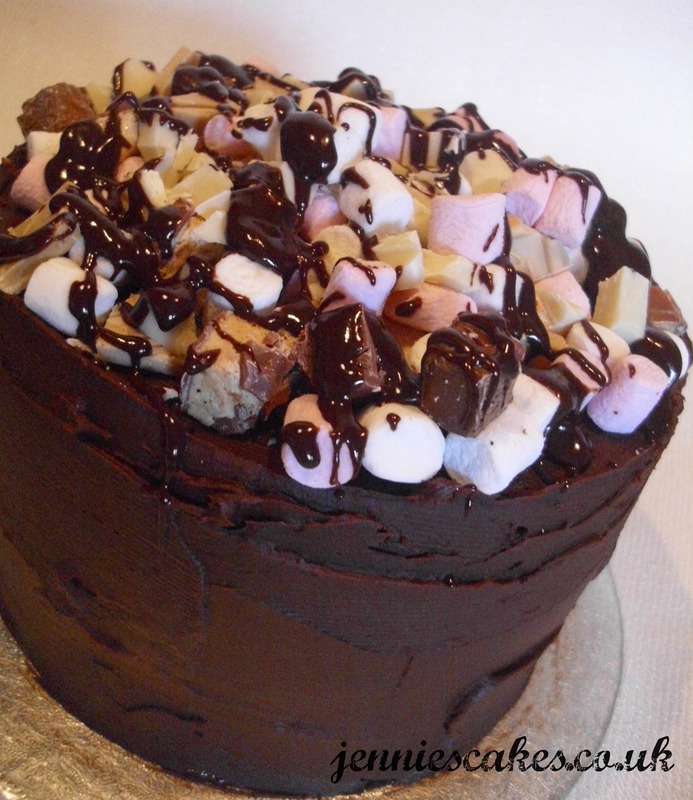 A rich chocolate cake covered in chcoclate ganache and topped with biscuit & chcocolate pieces, marshmallows and melted chocolate. 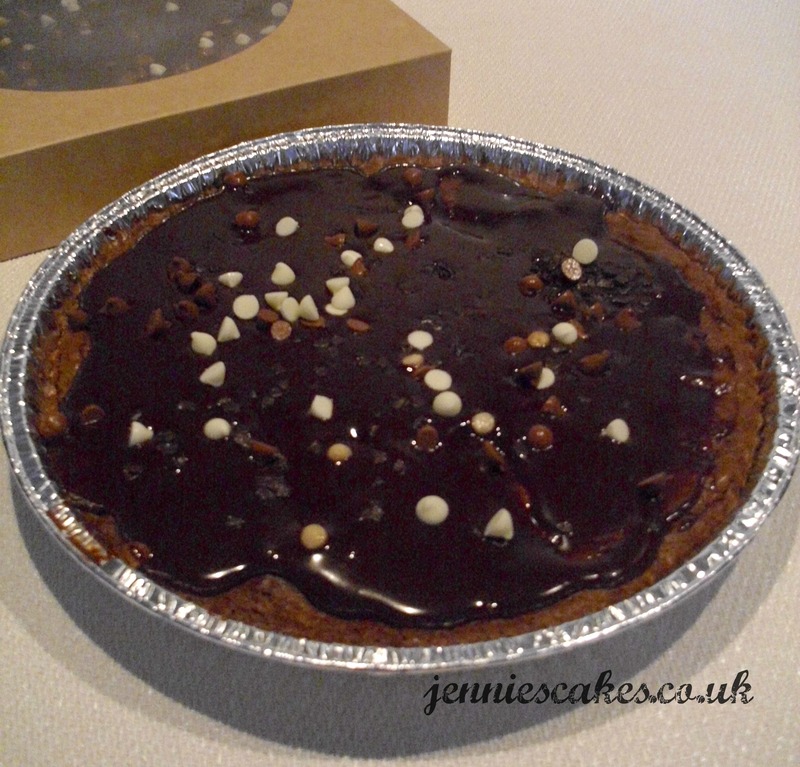 A double chocolate brownie, topped with chocolate ganache and an assortment of chocolate. Birthday message can be added. 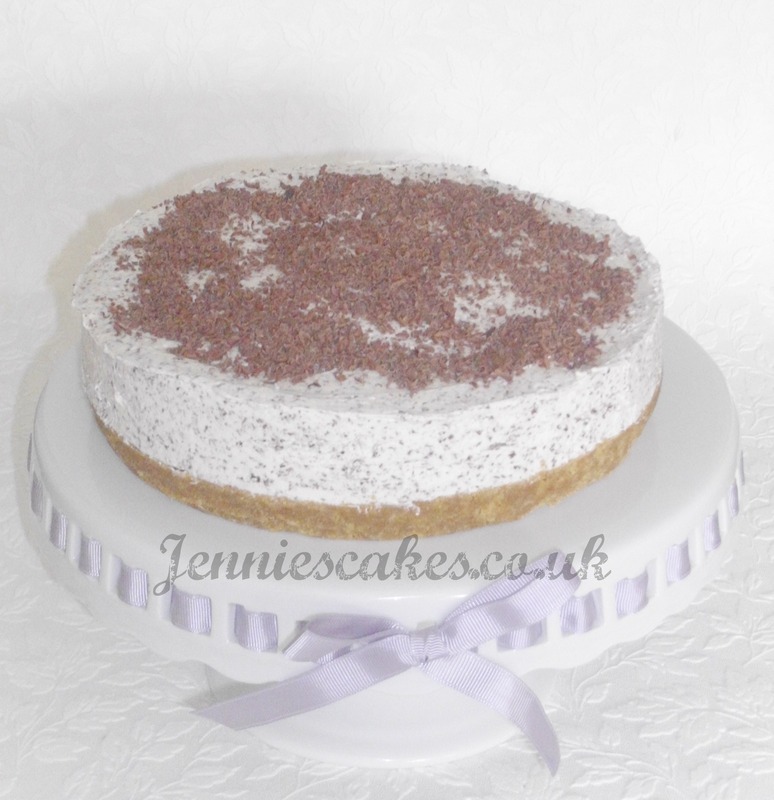 An 8" round non baked cheese cake serving 6-8 portions. Available in vanilla, raspberry & white chocolate, baileys & chocolate, After Eight, Rolo, Aero, Caramac, strawberry, eaton mess, Malteser, Mars, Snikers. 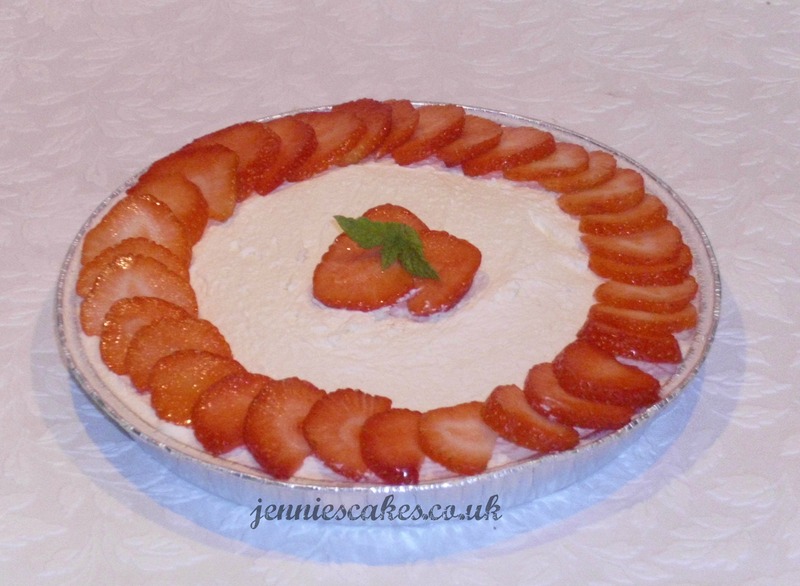 An 8" round deep dish non baked cheese cake serving 12 portions. 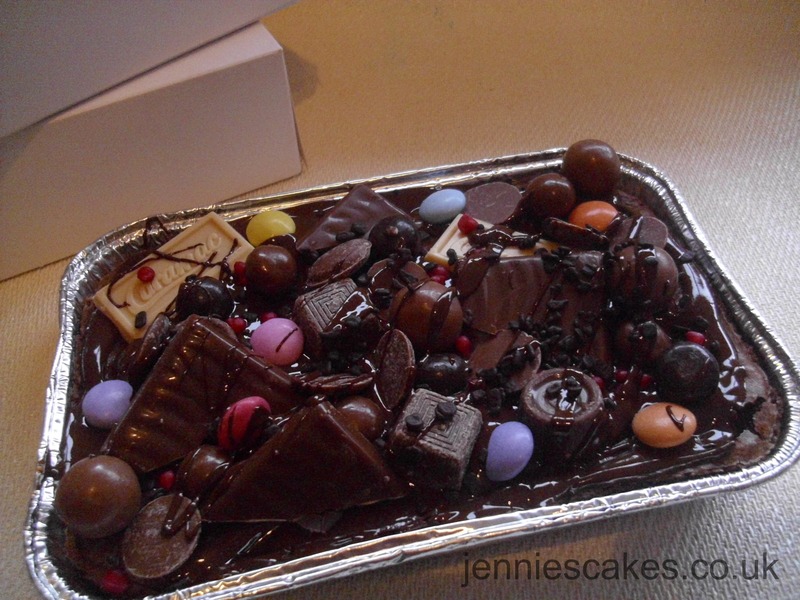 A rich brownie tray bake overloaded with a mixture of chocolate and melted chocolate. 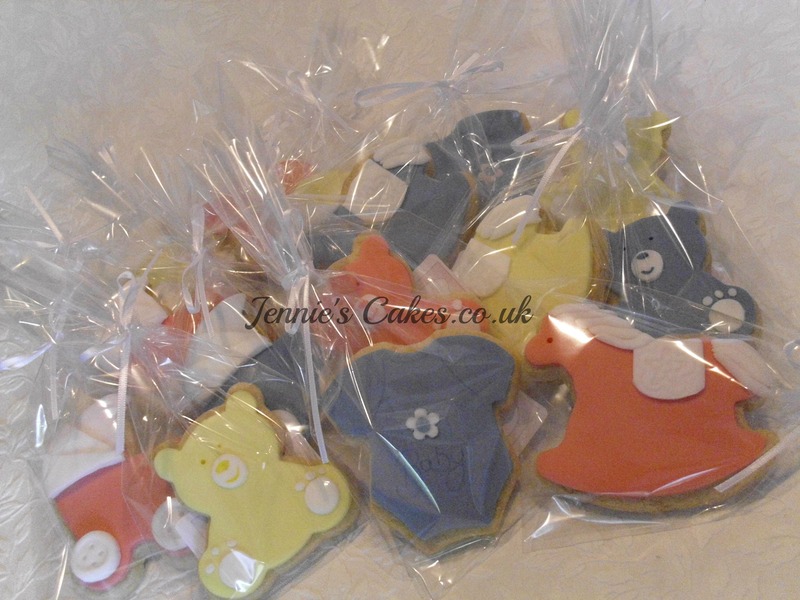 A box of 12 vanilla baby shower cookies. Individually wrapped. Contact me for a different ammount. A box of 12 vanilla cookies induividualluy wrapped. Available in : dogs, cats, dinosour, tractor, acorns, leaves, flowers, crowns, butterflies, apples, dresses and numbers. Contact me for a different ammount. Over 1kg of chocolate. Available in dark, white, milk or a mixture. 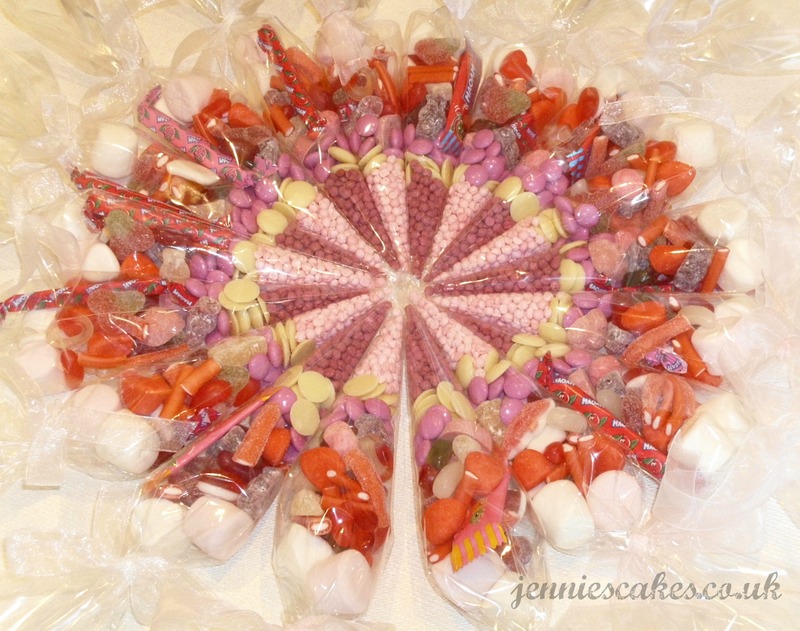 Filled with an assortment of sweets and great for party favours. Can be personalised with label. Contact me for a different ammount.